I'm way over due with a Winks and Daisies giveaway. 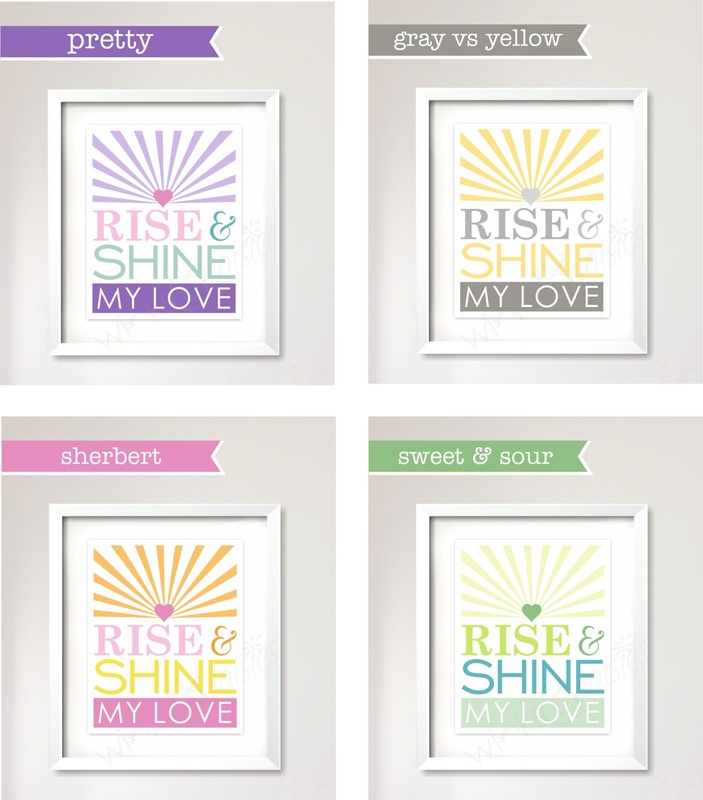 I've had many inquiries about my Rise and Shine My Love prints lately so what better than to give one away. 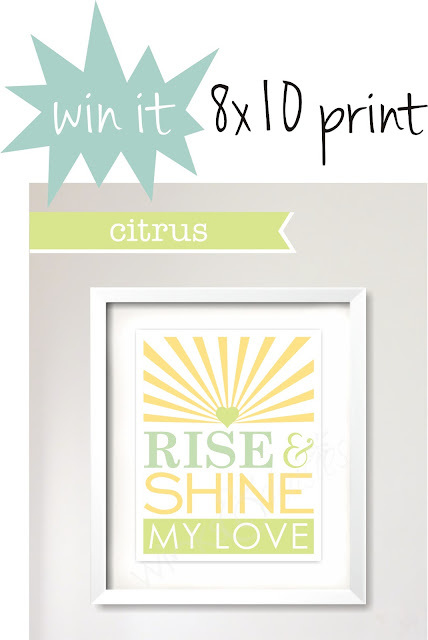 The winner will receive an 8x10 matte photo print( if within the US) or a pdf file of the print(if internationally). 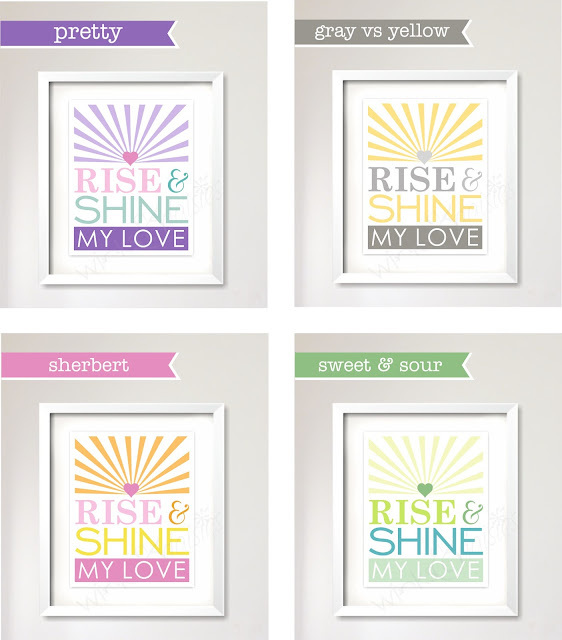 You may choose from any of the five color schemes listed. • Like Winks and Daisies on Facebook here and let me know in a comment to this post that you did. The giveaway will end Tuesday, May 15th. Please check back here on May 16th to see if you won. Good luck! So pretty! I would hang this gorgeous print in my daughters room. She is 3 and goes to Preschool. This month their church song is "Rise and Shine" and I have always called her "Love" so this would be perfect! I love this, I would hang it in my daughter's nursery. I also liked your page on FB! We would hang the print in our 10 wk old daughter's room since we call her love. Already liked w&d on FB- you're a local vendor for us which rules!